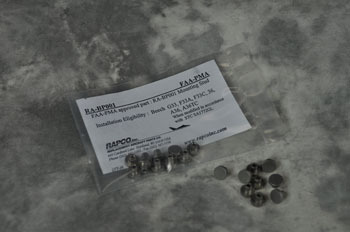 RAPCO FAA-PMA approved mounting pins are used to mount metallic type brake linings. They are designed for repeated use however should be replaced if they become damaged, loose or worn. Available in packages of 10.